Join local blogger Keisha of Loving Littles Blog host a panel of impressive local business babes including Jessica of Mint and Birch, Jody from I Like Her Style, and Bailey Stanworth founder of PLAY Digital and State of Grace for a talk on branding, self-worth, social media, finding time to juggle it all, and much more! Stay awhile and have your very own questions ready for the panel! There will be an open Q+A at the end for a chance to ask the ladies any advice or tips you have on your mind! Medicine was never the plan for Dr. Shahana Alibhai. She discovered her passion at age 15 when she went to her first fitness class. She became a BCRPA certified fitness instructor at age 17 and has enjoyed teaching a variety of group exercise classes ever since. Coupled by her love for cooking, by the age of 16, Dr. Shahana had also appeared on a number of cooking shows, demonstrating her ability to create innovative nutritious meals that highlighted her cultural background. With the determination that an integrative approach to medicine is truly the future, Dr. Shahana went on to complete her undergraduate degree in Kinesiology followed by her medical degree, both from the University of British Columbia. She completed a 2 year residency in Family Medicine which took her back home to Abbotsford BC. Now as a family physician and the mother of two young boys, Shahana is a staff physician at the Abbotsford Youth Health Clinic where she works with youth between the ages of 12-24 as well as the Abbotsford Breath Health Clinic located in the Abbotsford Regional Hospital. She was a member of the UBC Family Medicine Residency Faculty for the last 3 years, has served on the BC College of Family Physicians Board and works as an accreditor for the National College of Family Physicians. With training in cognitive behavioural therapy and mindfulness meditation, Dr. Shahana endeavours to bring elements of total mind and body health through her interaction with her patients. She is married to Dr.Khalid Alibhai, chiropractor and owner of Stuart Chiropractic in Guildford BC. Born & raised in the Lower Mainland, Dr. Shabita Teja went to the University of British Columbia to pursue a degree in pharmaceutical sciences & is a licensed pharmacist in BC. As someone who has gone through her own health challenges including chronic pain & Ulcerative colitis, Shabita has seen first-hand that the balance between acute and supportive therapies is one of the keys to wellness. As such, she strives to bridge the gap between conventional & naturopathic medicine to not only treat but support her patient's wellbeing. Dr. Shabita has a naturopathic practice at Sinclair Wellness Centre in downtown Vancouver that blends evidence based medicine & traditional naturopathic wisdom so that her patients receive the best care possible. She is passionate about facilitating her patient’s healing by getting to the root cause of their condition, & more importantly, walking beside them in their health journey. Dr. Shabita continues to manage her chronic pain while living a life of vitality with her amazing husband of 9 years & little puppy Brulee who is always there to bring smile to her face. They hope to have children soon & have started the fertility process having recently frozen a few embryos so stayed tuned! Knowing firsthand what it’s like to face a challenging health condition that impacts every aspect of her life, Dr. Shabita can truly empathize with her patients & will always be transparent & provide the motivation they need to continue to strive towards a life not only of health & wellness, but one of pure vitality. Claire Nielsen has been counselling for over 20 years in the areas of relationship, mindfulness, nutrition and general health. Three years ago, Claire created a tonic made from organic Turmeric and Ginger root to help with her own health issues of inflammation and pain. As it helped her so much, she shared with others and the demand grew incredibly. Now Aunty Claire’s Elixir for Life products are represented in many trade shows and markets throughout BC. Claire has an extensive following, and is often sought out by customers at trade shows. Claire loves to share her knowledge around health, diet and mindfulness with her customers and has helped many people change to a better way of eating, and living. Claire is happy to share some of her philosophies and practices around nutrition, and our relationship with food, as well as her advice on eating an anti-inflammatory diet. During her presentation, Claire will teach us how to make the elixir that has helped her so much, and how to discern between the wide array of turmeric products available… not all turmeric is created equal! Kahla Yzerman co-owns the popular Langley plant-based restaurant Leef and Stem alongside her husband and chef Steven Yzerman. As a mother to four children, Kahla is often asked about family mealtimes with a whole food, plant-based focus. With the Canadian food guide suggesting an increase in plant-based protein for the whole family, Kahla shares her tips, knowledge and recipes for healthy, plant-based meals for the whole family. Make a 30 Minute Walk Count! Learn how you can tone your whole-body with each step. Sheri will share how simply ‘Walking’ helped her to lose over 50lbs - demo the secret techniques she uses to tone &amp; sculpt her arms, stomach &amp; back! How 30 minutes can make a difference, solve the constant battle of trying to work exercise into your schedule and make working-out a lot more fun and easier to do. hard to do. Discover how you can actually do less and get more and turn a simple walk around the block into an efficient, effective - aerobic, total body workout! 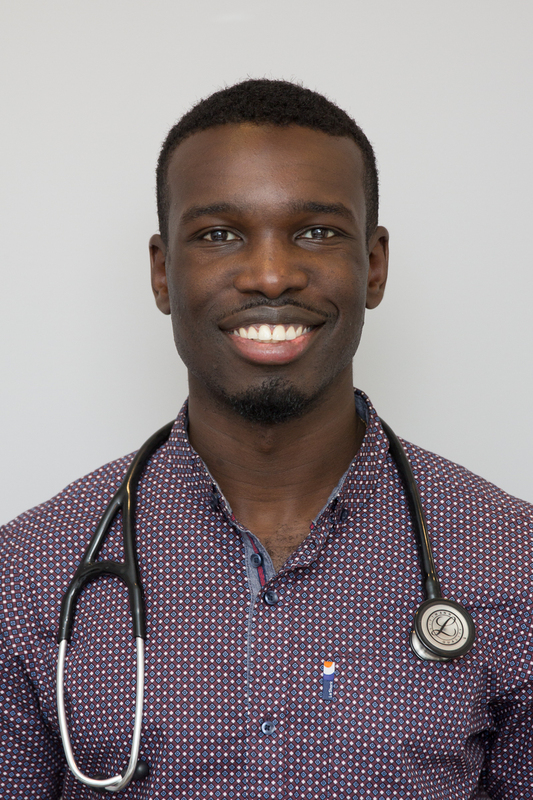 Join Aeryon Ashlie for a talk titled “The Keto, Adrenal, Stress Connection”. Aeryon Ashlie is a #1 Best Selling Author, Speaker, Holistic-Nutritional Fitness Coach, and featured as the Fitness Expert daily on Pulse 107.7fm. After experiencing severe weight fluctuations for most of her life, a 20+ year battle with Bulimia and a negative relationship with food Aeryon’s goal is to help others step into Health and Wellness Sustainability. She is a strong believer of a Holistic Intuitive Approach, with focus on the relationship between the Mind, Body and Spirit. After years of working through her own struggles and those of her clients Aeryon realizes that unless the internal dialogue aligns with ones Health and Fitness goals finding consistency can be a challenge. Aeryon’s latest book “Bulimia to Balance” hit number one on Amazon and she is a monthly contributor to Inside Fitness Magazine, which is available at newsstands everywhere. She has also been featured on TV, Magazines and Newsprint and most recently launched Aeryon Wellness featuring her own line of Stress and Sleep support supplements. For more information check out www.aeryonashlie.com. Dr. Ryan Lewis is a Primary Care Naturopathic Doctor with a passion for helping people strive for optimal health and wellness. In his practice, he strives to deliver excellence in care to all of his patients and it is his belief that having a more vibrant health does not have to feel like an elusive goal. Dr. Lewis’ primary goal is to not only address the root cause of a patient’s health concerns, but also to educate his patients to ensure they understand it as well. He wants to empower you, as the patient, with the knowledge, skills and tools you need to become equal partners and active participants in your healthcare. Armed with the knowledge of what is causing your symptoms, you will be guided on how to implement the necessary changes needed to regain and sustain optimal health. In his presentation, "Rise up - A call to action to achieve a more vibrant health”, Dr. Lewis hopes to inspire his audience to perform one specific act. To take action today in order to get on the path towards achieving optimal health and wellness. In his talk, he will help his audience gain clarity on where they are at currently, in terms of their health, and what limitations might be keeping them there. He hopes to inspire you to uncover what stories, whether conscious or unconscious, you might be telling yourself about your health. Then ask a simple question “Who would you be with a different story about your health?”. If you’re at a point where you’re at a loss for what to do in order to get better, come and discover a new perspective. In this short talk Dr. Lewis will take you through a journey and illuminate the path in order for you to RISE UP and TAKE ACTION. Lori Mork is an expert in the field of health and wellness, mindset, body positivity, and helping women create sustainable fitness. She is a fierce and dynamic author, speaker, former fitness champion, reformed dieting-junkie, and first-class coach to thousands of women worldwide. Honored to be speaking on the stage for the first time at the Women's Expo, Lori will be sharing the importance of being "well" and "fit", with strategies to rock your body beyond diet and exercise. You won't want to miss this sassy and raw talk that dispels myths, provides enlightenment, and is a fun and exhilarating ride! Her book "Kiss My Curvy Assets - Embrace, Accept, Highlight, and Rock the Sh*t out of Your Body!" is set to launch April 2019, and she will be available all weekend at the expo to meet, share stories, answer questions, and bring women together in this movement of body rockin'!